Once your booth has been properly installed and is ready for operation, it is important to get in the habit of performing daily maintenance to your booth in order to protect against serious accidents. Chesapeake Automotive Equipment invites you to learn more about the various aspects of maintaining a spray booth. Clean dust and paint accumulation daily. Clean air intake every week. Check the exhaust dust. If there is any dust accumulation in the net, or if the air pressure in the room increases for no reason, the exhaust air filter must be replaced. The dust filter should be replaced every 150 hours. The inlet air filter should be replaced every 300 hours. Check the intake and exhaust air motor drive belt. Every six months, clean the entire paint room and the ground. Check the circulating air valve, into the wind, and exhaust air bearings. Check the burner exhaust channels. Every year, clean the entire heat exchanger, including the combustion chamber and the exhaust channel. Wires will gradually age with time and can result in a short circuit, potentially causing a fire. The exhaust fan will also be used in the process of accumulation of residual paint after spraying. Require the operator to conduct regular inspection of the paint room, then clean and eliminate any hidden dangers. Before spraying, you must check whether the spraying pressure is normal and make sure the filtration system is clean. Check the air compressor and oil-water micro-dust separator to keep the painting hose clean. The spray gun, painting hose and paint-spraying tank should be stored in a clean area. 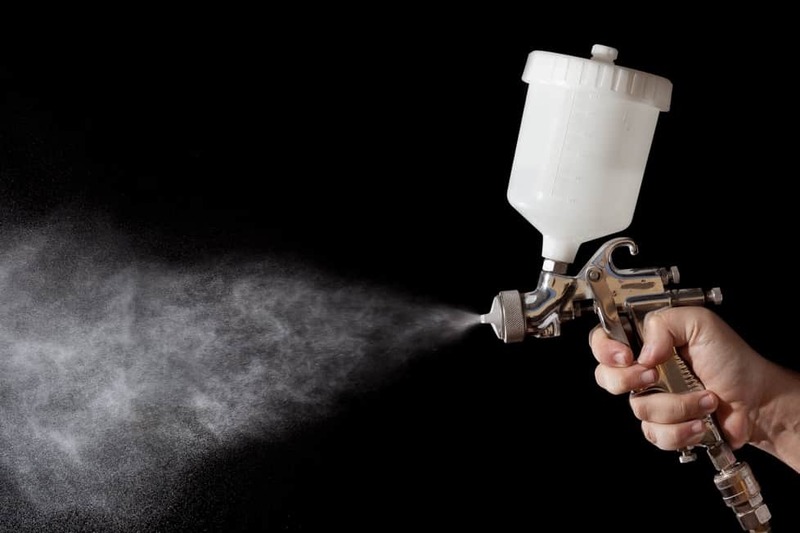 With the exception of dust gun and sticky cloth dust, all other processes before spraying should be completed in the paint room. Employees need to wear designated spray clothes and safety protective equipment before entering the paint room for operation. Ensure all flammable items are removed from the booth before baking. If you’re in the market for a spray booth, check out our line of USI spray booths. One of our expert staff stands ready to answer your questions about our spray booths and all of our product lines. Visit us at www.chesautoequip.com.